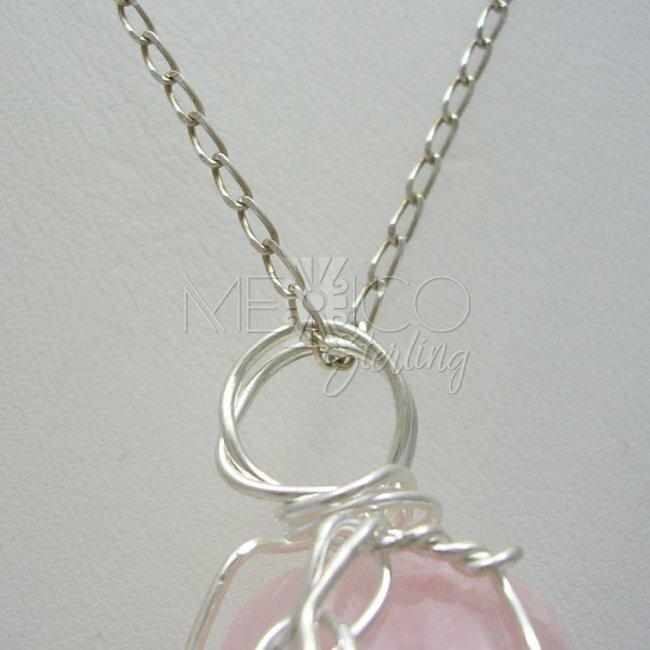 Silver Plated and Rose Quartz Pendant [SPJ3092] - $8.00 : Mexico Sterling Silver Jewelry, Proundly from Mexico to the world. 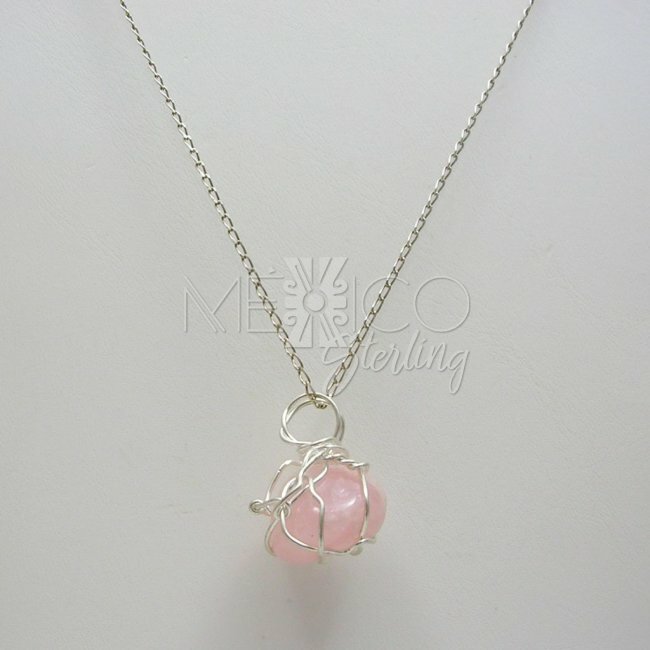 Dimensions: Width : 7/8" at its widest point Length : 1 1/4"
This is a simple yet very attractive piece of jewelry. 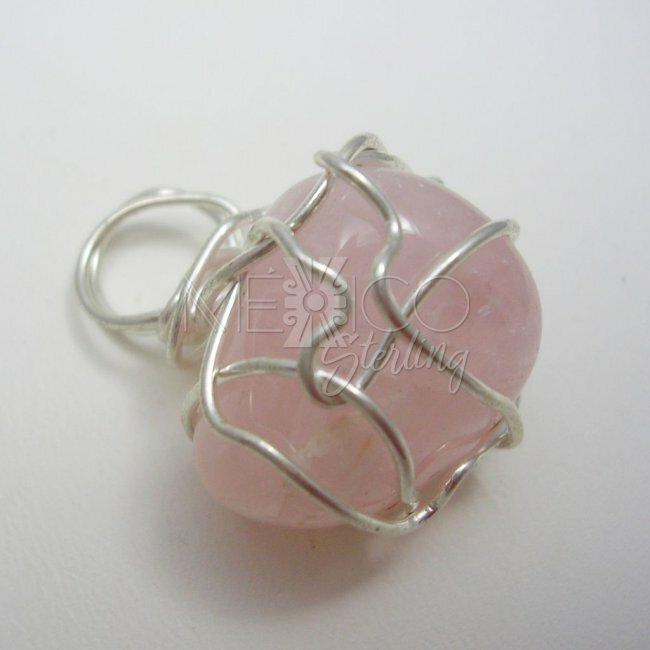 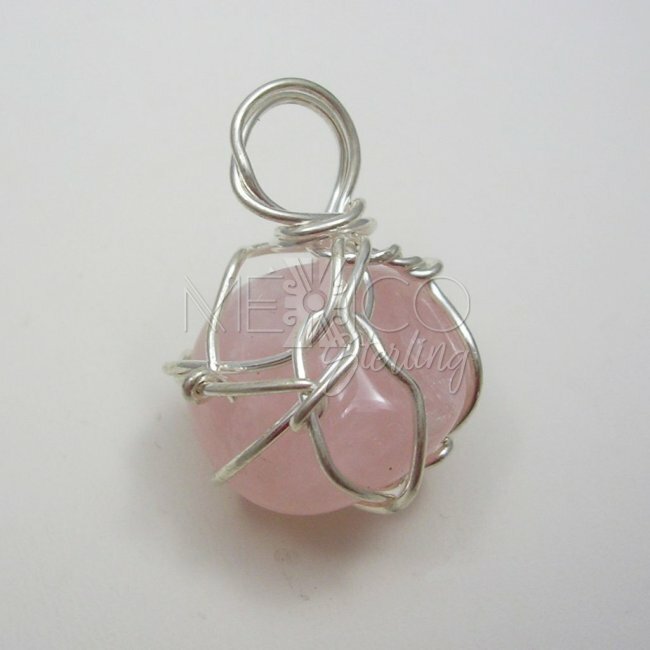 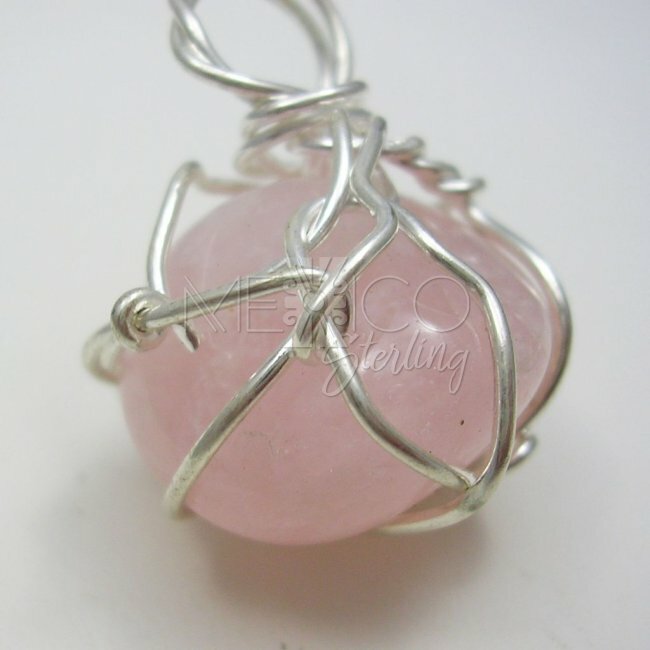 The wonderful natural rose quartz stone enclosed inside this silver plated "cage" gives a nice touch for a final casual look. 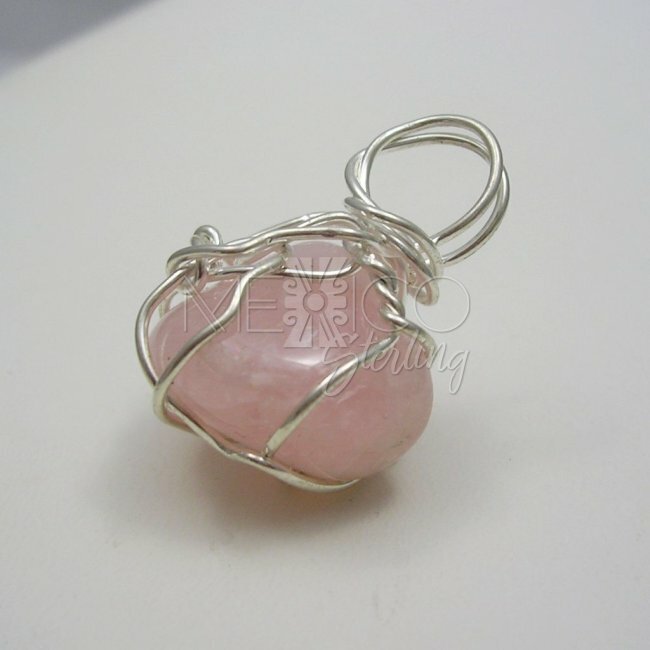 Not only this pendant serves as a jewelry ornament, but for mystical reasons, it is said that carrying a quartz close to your heart helps protect you from bad or negative energies. 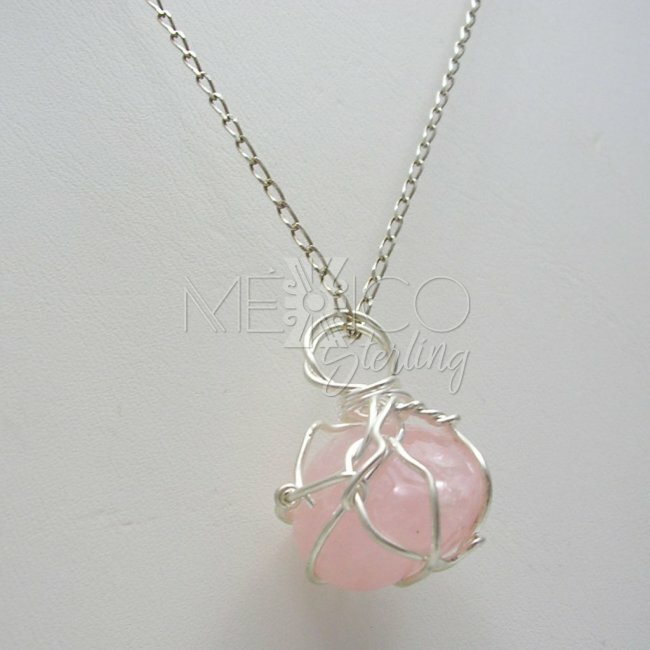 So if you wear it for one or another reason, either way this pendant makes an excellent purchase.